It may have been cold wet and windy at tonight’s game v Hamilton but for one lucky fan that didn’t matter. 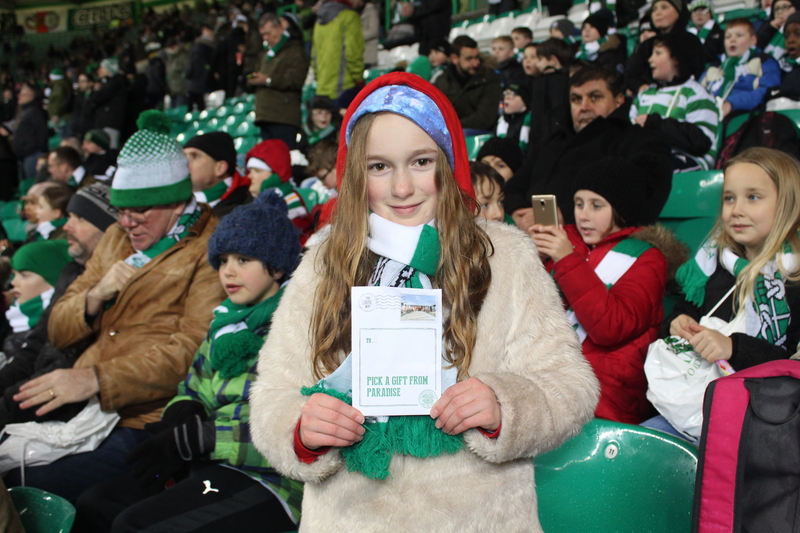 Katie Lumsden (above) age 10 from St Ninians Primary Cardenden became the Kano Foundations 7000th child to go through the turnstiles “free of charge” since our launch in 2010. 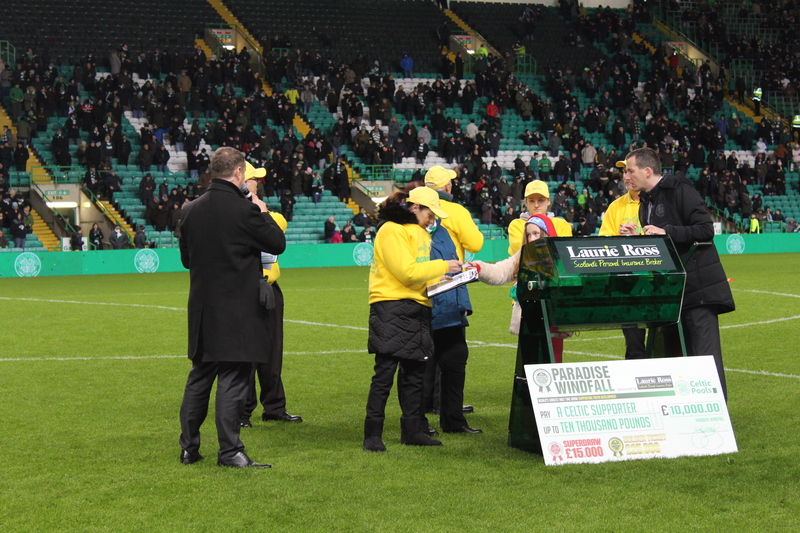 Katie was rewarded with a £50 gift voucher for the Celtic superstore and was invited on to the park to do the Paradise Windfall draw at half time. And in keeping with the tradition of other Kano kids who have done the draw, she failed to pick any of our tickets as the winner. Thank you again to all of you who have supported us throughout the years for making this special night possible. A big thank you also to Celtic FC and John Paul Taylor for their continued support and assistance .